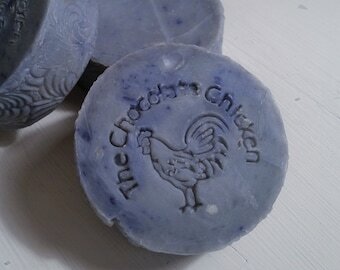 If you love lush bars, your going to love our Charcoal Soap. Our charcoal face bar ideal for combination or oily skin, our mildly exfoliating charcoal facial soap makes quick work of excess oil to leave your skin matte and super clean. 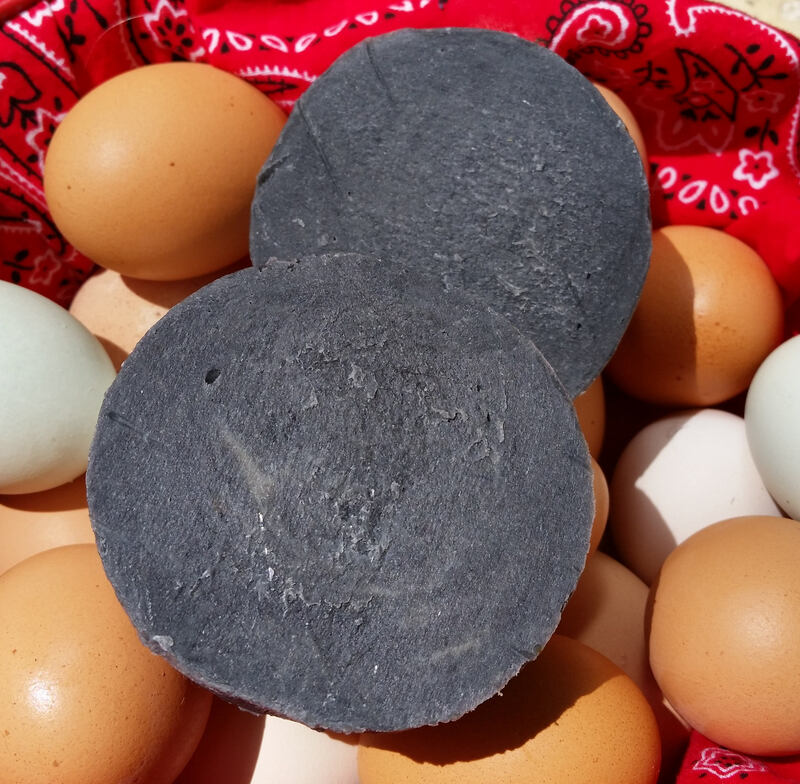 Our Activated Charcoal Bentonite Clay Facial Soap is made by hand in small batches. 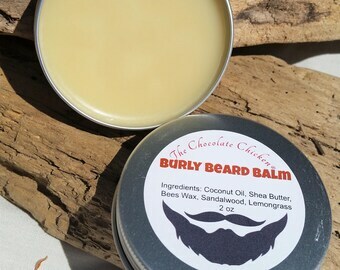 It gently cleanses, moisturizes, lathers, and smells luxuriously luscious. Add this Natural Skin Care to your daily routine for half the cost of commercial soaps. 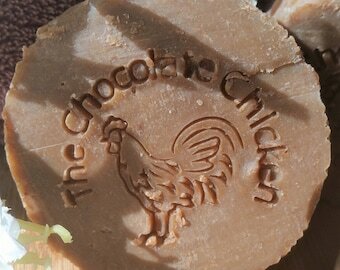 To create this soap bar, The Chocolate Chicken uses natural ingredients. Each bar of soap bar is made with Goat Milk, Honey, Activated Charcoal, Bentonite Clay, Saponified Oils (coconut oil, olive oil, avocado, palm oil, shea butter, castor oil and essential oils). We super-fat the soap with avocado oil so it only hardens 99% of the bar, leaving the avocado oil to immediately moisturize. Activated charcoal will not harm your skin, which makes it a good addition to your cleansing routine. If you suffer from dry skin, use charcoal soap to replace harsher cleansers. For adults with mild acne, a charcoal cleanser can help prevent outbreaks. 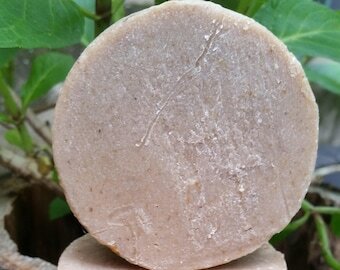 Bentonite clay is another great clay that can be added to soap. It also has an amazing capacity to absorb toxins from the body making it great for oily and acne-prone skin. It is composed of volcanic ash. This soap does not contain any chemically produced scents or dyes. 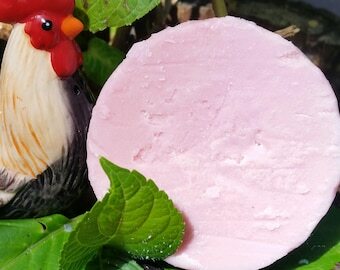 All of our soaps and shampoo bars are paraben free. We recommend keeping your soap dry between uses to help extend the life of the bar. Each bar is a generous 4 ounces. All of our bars are hand cut, size and color may vary. I love this soap! I had received it as a free sample with an item I had bought as a gift for my sister. My face has been super clear since using this soap!!! There was also a bar for their oatmeal honey face soap included in the package and I can’t wait to use it! 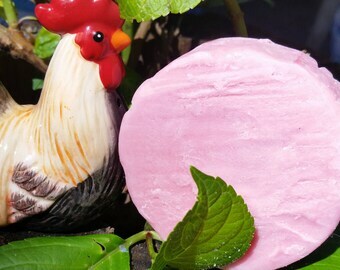 I got a sample of this soap in my last order. The first time I tried it I knew I had to get a full bar. It makes my skin sooo soft without drying it out which is definitely saying something because like everything dries my skin out. Especially in winter. I just love it!